Stansted Easy Parking provides a personalised and friendly airport parking experience for business and holiday travellers. It’s located close to the airport and focuses on convenience and security — ensuring you feel calm and cared for at each end of your trip. This family-owned business has been operating since 2003 and has satisfied swathes of travellers since. Their service is straightforward and customer-centric. Friendly staff meet you at the airport and inspect your car while they book it in, before driving it to the secure space where it stays for the duration. Call them when you return and they’ll bring it back to a meeting point — within a few minutes you’ll be on your way home. They’ll pay your exit fee on arrival, but bring some cash to cover the charge when you return. Book 48 hours before departure to be sure of a space, although they’ll also do their best to accommodate you at short notice. 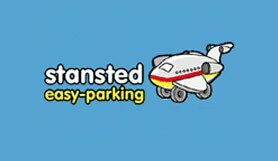 Stansted Easy parking offers simplicity and satisfaction — easy by name and by nature. No transfers are needed, Stansted Easy Meet & Greet will be an excellent alternative for disabled customers who would find it difficult to use transfer buses. Your car is collected from the terminal when you leave, and brought back to you at the terminal on return. Please print and take the confirmation email with you on the day. This service operates between 04:00 to 23:00. Only make a booking if your meeting times arrival and departure are within this period any delays will be dealt with by our team so do not worry! If a booking is made knowingly out of these specified times a £100 levy will be charged on return. In case of a delayed flight the car park staff will ONLY wait until 02:00 AM, otherwise the customer will have to wait until 04:00 AM. Please pay entry fee of £4.00 in cash to the driver, also you will be required to pay the £4.00 on exit. Please phone the number on your confirmation email twenty minutes before your arrival at Stansted to confirm your drop off point of which there are two, and to make sure our driver is there to meet you on time. If you do not give us a twenty minute call this may delay your booking in time AND COULD COST YOU EXTRA MONEY. Also if you are running early or late please keep us informed so we can help you! If you are asked to enter the Orange car park when you are making your twenty minute call, the directions are below! • After you have collected your entire luggage and you are through Customs only then, call the number provided on your confirmation email. You will then be given directions either to the front of the terminal building known as the express set down zone C by the two flag poles or the short stay! YOU HAVE TEN MINUTES FROM THE TIME OF THE PHONE CALL TO EXIT OTHERWISE THE AIRPORT WILL CHARGE YOU A £50 LEVY! If asked to make your way down to the ORANGE short stay car park go to row A&B unless otherwise advised. You are responsible for all exit fees! • At the time of vehicle collection on your departure day you would have been issued a receipt for your vehicle, please have it ready to hand over to the driver, if lost please have your passport as proof of ownership! From all major roads: please follow the signs to short term car park Stansted Airport, unless otherwise advised to make your way to the Express set down at the front of the terminal.